With a diverse background in psychophysiology and many areas of alternative health Dr. Green has also developed several highly effective therapeutic aids that draw on his extensive knowledge of hypnotherapy and imagery. Many of these are available on his unique Audio-Guided Meditation (AGM) CD’s to assist such problems as: anxiety attack, anxiety symptoms, pain control, stress, panic attack, smoking and general and athletic performance anxiety. Check out our Stressless Hints page to help improve with your stress management techniques. Dr. Green has mentored many practitioners throughout the years. Maureen McCarren, LCSW-C is now providing Dr. Green's customized neurofeedback training in her Ellicott City, Maryland office. 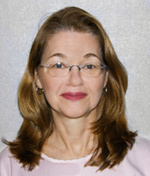 Maureen has been a neurofeedback practitioner for six years and has consulted exclusively with Dr. Green for the last 3 years. She continues to work closely with Dr. Green and can tailor a program for your neurofeedback needs. You can call Maureen at 410.530.9586 for more information.